1909. 894 pages. No dust jacket. 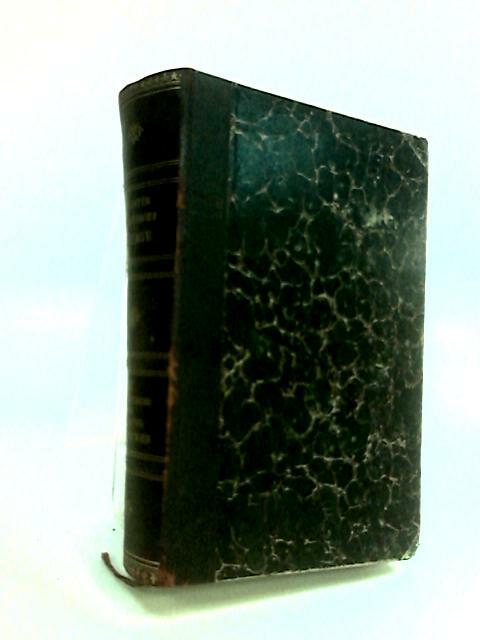 Black, half leather bound with gilt lettering and marbled boards. Text in German. Firm binding. Noticeable foxing, tanning and handling marks with dog-eared corners. Noticeable rubbing and scuffing along spine. Noticeable bumping, rubbing and scuffing to spine ends and to corners with noticeable rubbing, scuffing and wear along edges and over surfaces. Chemie der Kohlenstoffverbindungen oder Organische Chemie. 11te Auflage.